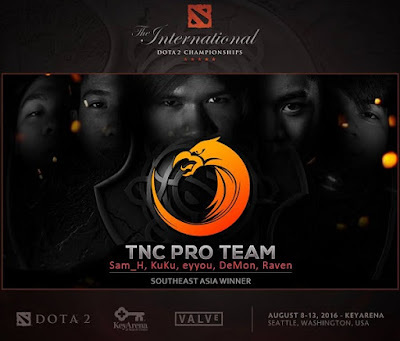 TNC Gaming is going to TI6! The Philippines will be sending a representative to The International this 2016. TNC's TI6 SEA Qualifier win ends the 5 year TI drought for the Philippines. Defeating Execration (Philippines) and Fnatic (Malaysia) in the tie-breakers clinched the TI6 spot for the Filipino Dota 2 team.